Ask most people what they like about the Big Island of Hawaii, and you'll get responses ranging from enjoying its beaches to exploring its active volcanoes. Astronomy buffs may highlight the world-class observatories on Mauna Kea or the 'Imiloa Astronomy Center in Hilo. In fact, the elevation extremes of the island make it the most environmentally diverse place on earth, sporting all but one of the world's terrestrial climate zones, including desert, tropical, temperate, and even tundra. From an extraterrestrial perspective, this eco-range also means that Hawaii harbors very good planetary analog environments. 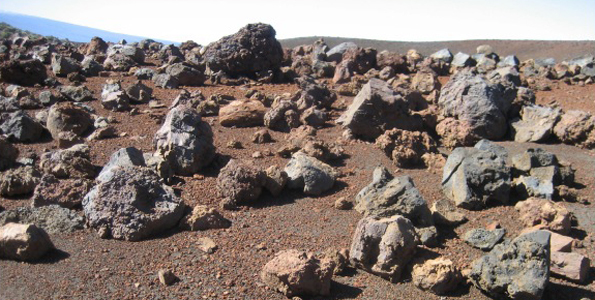 The high elevation, dry weather conditions, and lunar regolith-like volcanic deposits make Hawaii an ideal place to practice for missions beyond Earth. That's why it served as a training ground for Apollo astronauts in the 1960s and why the PISCES (Pacific International Space Center for Exploration Systems) program has called Hawaii home since 2007 with successful international field campaigns in 2008 and 2010. Here is a photo showing the alien landscape on the flanks of Mauna Kea near the Saddle Road, where PISCES is located. I had the honor of being invited to attend the JUSTSAP Symposium on the Big Island recently. The conference was the 20th annual gathering of JUSTSAP (Japan-U.S. Science, Technology and Space Applications Program) in Hawaii. The group was established in 1990 to explore ways U.S. and Japanese scientists, educators, government officials, and business professions can collaborate on international space exploration. It has catalyzed and facilitated numerous aerospace activities between the U.S. and Japan from microgravity research to in situ resource utilization (ISRU) through the PISCES program. They may soon be re-named to PISA (Pacific International Space Alliance) as the bilateral partnership expands to include other countries. With the theme "The Next Giant Leap: Building Sustainable Settlements Beyond Low-Earth Orbit", the main topic of discussion at this year's JUSTSAP Symposium was how to establish a permanent human presence on the Moon, with particular emphasis on establishing a multinational research and development park on the Moon. JUSTSAP attendees scoped out a roadmap toward launching a sustainable presence on the Moon by 2020 - beginning with the development of prototype analog site in Hawaii via PISCES facilities, followed by precursor robotic missions to the lunar surface, and, finally, a manned outpost. Project teams formed during the symposium will continue these discussions throughout the coming year. The end goal for 2011 will be to encourage President Obama to officially launch this multinational venture while attending the APEC Summit in Hawaii next fall. Panel presentations and breakout sessions from renown experts focused on where/when/why/how we might settle the Moon and operational options for lunar habitation. 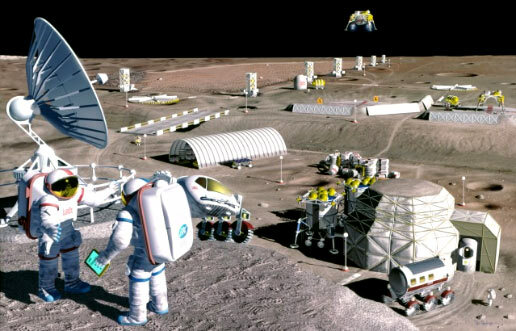 The long term vision is to have a research park on the Moon to make the outpost economically sustainable. Like Silicon Valley, it would be closely tied to one or more universities, and perhaps a branch university could even be on the lunar surface one day. Aspects of terrestrial precursors, robotics, ISRU, education, training, regulation, and commerce were prominent in the discussions. There was general consensus that lessons learned from the establishment of Intelsat, the International Space Station, Panama Canal, Antarctic Treaty, Law of the Sea, and CERN would all have important ramifications for establishing an international Lunar Authority. This was the topic I found most fascinating. Like port authorities on Earth, a lunar authority would be a quasi-governmental public authority chartered to operate the infrastructure of the lunar settlement. The authority would actually own the land and operate most public infrastructure elements, while tenants would include the companies, universities, and other inhabitants of the research park. The meeting was very well-attended by representatives from the NASA Ames Research Center since Hawaii and NASA Ames are now partners in the Space Act Agreement, the first of its kind collaboration between NASA and a state government. The State of Hawaii has a very active Office of Aerospace Development, which coordinates many of the aerospace activities around the state, including the JUSTSAP Symposium. NASA's Gary Martin emphasized that the President's recent signing into law of the NASA Authorization Act is the first time in history that going to Mars and moving civilization off the planet has been built into legislation, so it is highly significant. He also shared that during the early 2000's, NASA was actually forbidden to show images of people on the Moon or Mars for fear of derailing the ISS program. They've come a long way in a short time. One of the other main goals of JUSTSAP is to inspire the next generation of scientists, engineers, and entrepreneurs to pioneer the space frontier. I think was probably only one of two people in attendance under the age of 40, so they still have their work cut out for them in this arena. The question of "Why go to the Moon?" 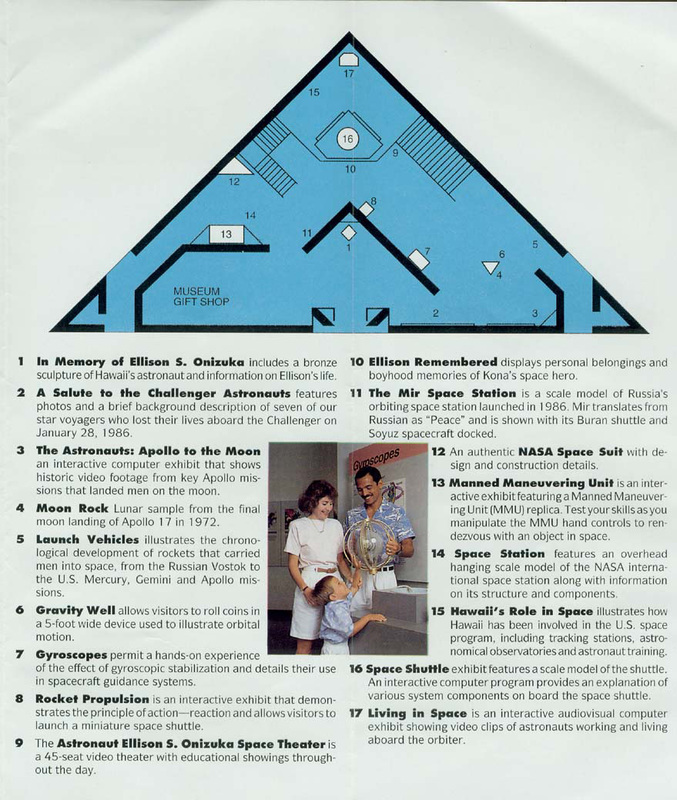 kept coming up as a necessity to answer for the post-Apollo era generation. We need bold ideas to excite the next generation. One speaker used the metaphor of the Polynesian explorers "conquering the impossible" by venturing out across the Pacific to settle Hawaii. The same spirit and strategy could apply to the Moon. At first we'd have to bring all of our food and resources with us, but over time, we must learn how to live off the land and turn the Moon into an oasis for life just like settlers did to Hawaii. I returned to the Big Island the week following the symposium to spend some quality vacation time with my family. While driving to South Point (aka: Ka Lae), we came across the Pete Conrad Ground Station. The facility's two antennas allow it to provide a wide range of telemetry, tracking, and control (TT&C) services to a range of customers and missions (technical details here). Bigelow Aerospace reportedly uses it as part of the control network for his private space stations. We also visited the Astronaut Ellison S. Onizuka Space Center at the Kona Airport. The center is a memorial to Astronaut Onizuka, who was selected as a NASA astronaut in 1978, flew on the STS 51-C mission in 1985, and perished in the Challenger disaster in 1986. A native of Kona, Onizuka was the first Hawaiian astronaut. The space center's many exhibits serve not only as a memorial to Onizuka's accomplishments but also as an educational resource to the community. If I can impress upon you only on idea ... let it be that the people who make this world run, whose lives can be termed successful, whose names will go down in the history books, are not the cynics, the critics, or the armchair quarterbacks. They are the adventurers, the explorers, and doers of this world. When they see a wrong or a problem, they do something about it. When they see a vacant place in our knowledge, they work to fill that void. Rather than leaning back and criticizing how things are, they work to make things the way they should be. They are the aggressive, the self-starters, the innovative, and the imaginative of this world. Every generation has the obligation to free men's minds for a look at new worlds ... to look out from a higher plateau than the last generation. Your vision is not limited by what your eye can see, but by what your mind can imagine. Many things that you take for granted were considered unrealistic dreams by previous generations. If you accept these past accomplishments as commonplace then think of the new horizons that you can explore. From your vantage point, your education and imagination will carry you to places which we won't believe possible. Very exciting programs, I hope it works... I know we all want to see that last picture on your post become a reality!